This is a vintage, polyester necktie by John Frederics! 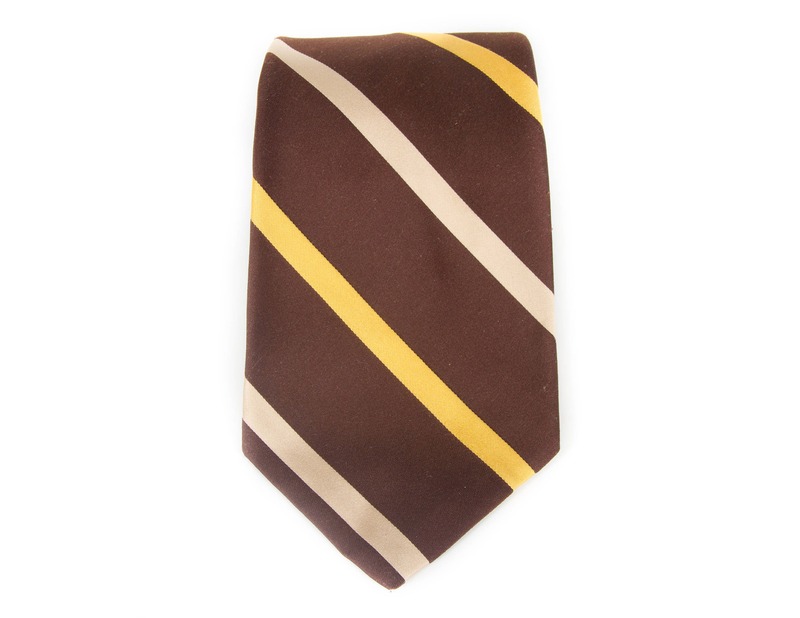 The brown and yellow tie features has a clean and retro look, and it measures roughly 4 1/4" wide at the bottom. Contact us with any questions!